The Service Learning module provided me with an insight into professional research practice and what it was like to work with an outside organisation. It gave me the experience of working with community partners and designing a research project. “I chose to study at NTU as I absolutely love Nottingham as a city! It is local to my hometown and with great transport links to and from the city, I was able to visit my family regularly throughout my studies. After attending the open day, I got a real feel for the university, and fell in love with the city campus – it’s such a nice space to work and chill with friends. “The opportunities offered by the School of Social Sciences are amazing. The Service Learning module provided me with an insight into professional research practice and what it was like to work with an outside organisation. It gave me the experience of working with community partners and designing a research project, which helped massively with my dissertation. It also boosted my CV, and gave me a real sense of fulfilment. “The course is everything I expected and more. I think the setup of the course is good, and the modules cover a broad range of topics so there is something that interests everyone. The Final Year modules are so interesting and my knowledge was built on from the basics in Year One to the more intricate details in Final Year. I love the fact the staff are so approachable and friendly, but yet professional and passionate about the topics they teach. 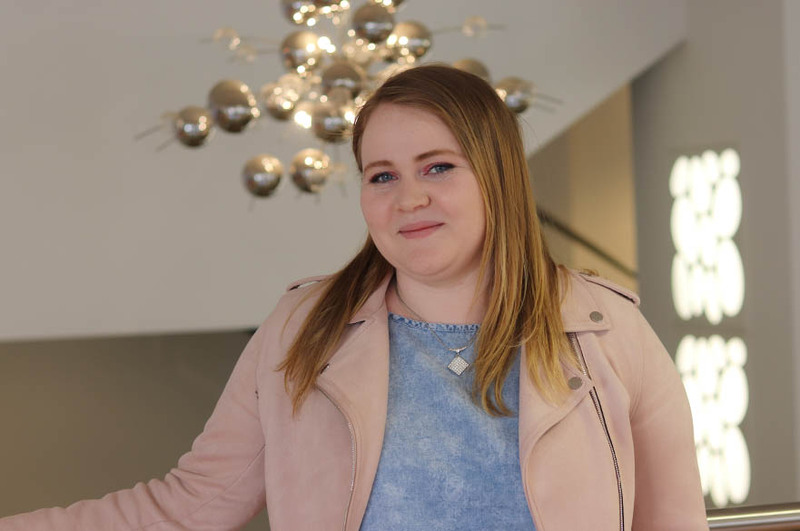 “I’ve been involved in additional activities, including taking part in a Scholarship Projects for Undergraduate Researchers (SPUR) project throughout the summer in my second year. I also attended and presented at the Public Sociology Symposium about the benefits of Service Learning. “I’ve found the staff within the School of Social Sciences to be so friendly and approachable. The knowledge that they have in the fields that they teach is really amazing, and many of them are engaged or have been engaged in research topics that they teach about. Guest speakers are also common, and I have received talks from a number of individuals, including convicted criminals, those with disabilities and practitioners in the field. “The employability team are always emailing with job opportunities, and graduate schemes. They host events such as CV building and interview techniques, but also offer one to one support, which I prefer. My CV is now professional and contains so much about the experience that I have had at NTU.